The Socionext SC2M50 provides video encoding and decoding that support HEVC/H.265 standard. 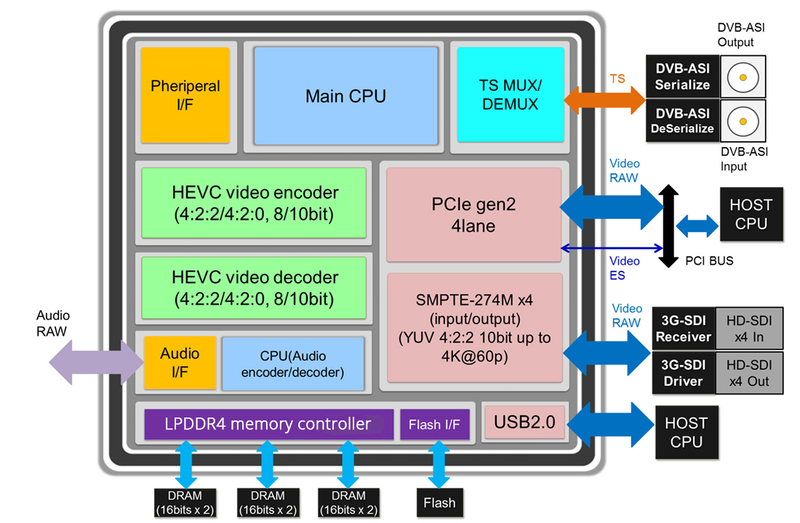 It is a low-power, compact slave type codec IC controlled by host CPU via PCIe interface capable of 4K/60p HEVC/H.265 real-time encoding and decoding with HEVC encoding algorithm supporting HDR(High Dynamic Range) Video. It is suitable for various medical and signage applications including IP video distribution and wireless video transmission. Fact Sheet: Click to download the SC2M50 Fact Sheet.